Designed to add that premium timber look finish without the price tag, hassle and maintenance of real timber. Made from Colourbond Steel but designed to look like real timber. Strength and quality in design with hardwaring and high performance hardware. 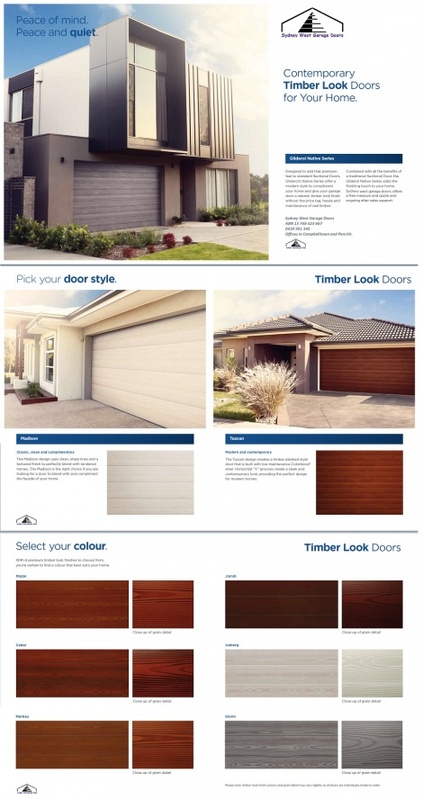 Available in 6 premium timber look finishes to choose from.